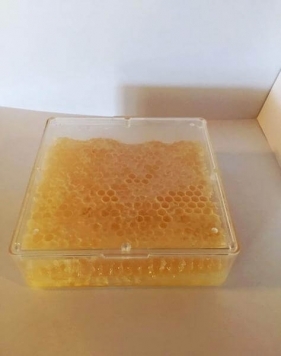 A structure of rows of hexagonal wax cells, formed by bees in their hive for the storage of honey, pollen, and eggs. This stuff is delicious you have to try it! You just take a piece with your fingers and bite into it and spit the wax out, but some people like to just eat the whole thing.